Enjoy our great selection of tantalizing snacks that are sure to make your tummy happy! 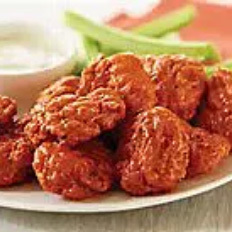 Our tender boneless chicken bites in all the same sauces as our traditional wings! Choose 8 or 16. 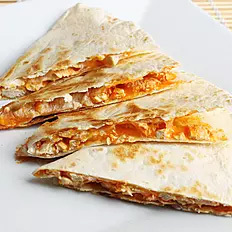 Tortilla chips with a 3 cheese blend melted and piled high with spicy chicken, green onions and fresh tomatoes. Or choose Pub Styled Nachos with melted jalapeno cheese, tomatoes, jalapenos, and spicy chicken! Served with a side of housemade salsa. 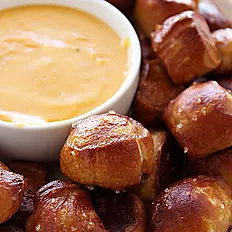 Bavarian craft pretzel bites served with our Amber lager based beer cheese. 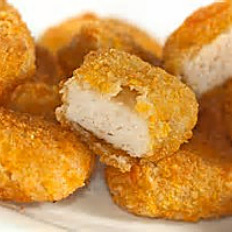 Home-style breaded chicken, lightly seasoned. The perfect canvas to dip into one of our delicious wing sauces! Served with a side of seasoned fries! 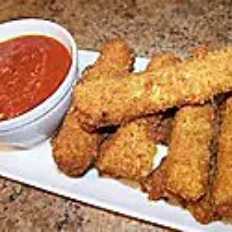 Mozzarella cheese breaded and fried to perfection. Served with a side of our homemade marinara. 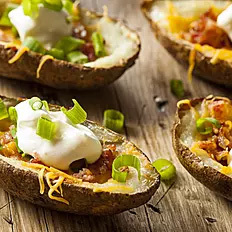 Shredded mozzarella and cheddar cheese melted over baked potato skins, topped with bacon bits and scallions. Served with a side of sour cream. 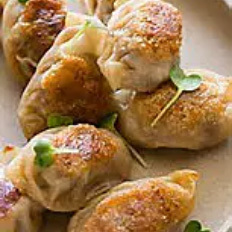 Deep Fried pork pot stickers served with our homemade Asian dipping sauce. Black and white sesame seed encrusted Ahi tuna, seared to perfection and served on a bed of Asian slaw with a cucumber Wasabi accent. Battered and fried pickles served with a side of ranch or tangy horseradish style sauce for dipping! Our signature seasoned fries loaded with fire roasted peppers, onions, tomatoes, bacon, and jalapeno cheddar cheese sauce. 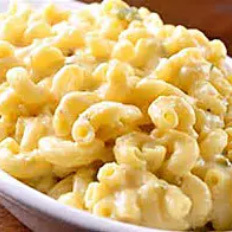 Substitute melted hand shredded mozzarella and cheddar for cheese sauce: add $1.00. 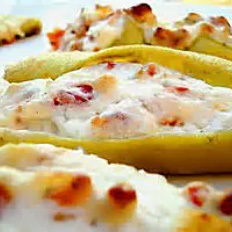 Stuffed with hot sausage, two types of cheeses, then smothered in marinara sauce. Topped with mozzarella cheese and served with garlic bread. 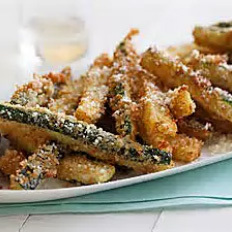 Delicately battered zucchini fried to perfection and served with a side of homemade marinara. Sautéed in a garlic butter sauce with a touch of chili and finished with an amber lager. 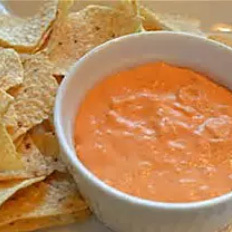 Tortilla chips served with our homemade buffalo chicken dip. 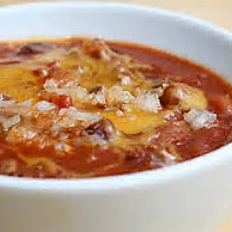 Homemade chili that tastes like what “mom used to make”. 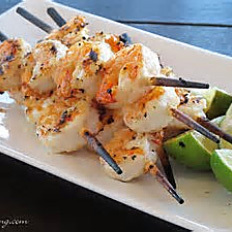 Grilled shrimp kabobs with veggies served in our Asian red sauce. Grilled tender sirloin, mushrooms, peppers and onions glazed with Crafty kabob sauce. Lightly breaded whole green beans with wasabi ranch dipping sauce. 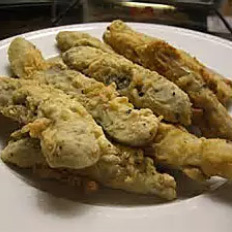 Lightly breaded jalapeno and cheddar cheese fried to perfection. Served with Ranch to cool it off! Pepperoni and mozzarella rolled inside a wonton wrapper topped with parmesan and served with marinara. Sweet Spanish onions sliced and coated in a Japanese style panko. Served with our homemade horseradish sauce. 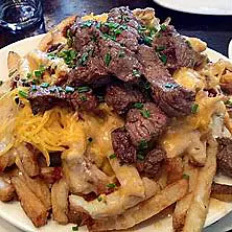 Our marinated grilled sirloin on top of cheesy French fries. Everyone is going to want some! Seasoned ranch steak perfectly seasoned and cooked to order. 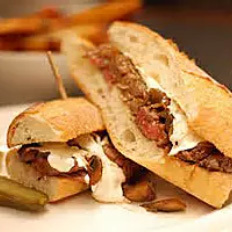 Served on a bed of fresh greens with caramelized onions, tomatoes, cucumbers, French fries, mushrooms, and bleu cheese. 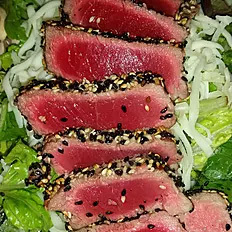 Sushi grade Ahi tuna encrusted in a coconut & sesame seed mix and lightly seared. 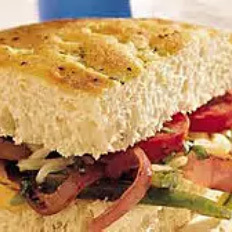 Served on a bed of fresh greens, red onions, tomatoes, artichokes, roasted red peppers, cucumbers, mushrooms and a blend of cheeses. 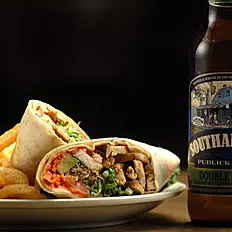 Topped with a light drizzle of spicy chili and orange ginger sauces..
Our chicken breast seasoned and grilled to perfection served on a bed of fresh greens with onions, tomatoes, cucumbers, fries, mushrooms, and a blend of cheeses. 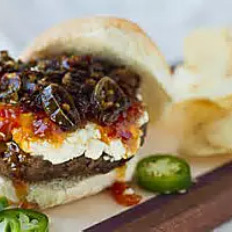 Make any burger a Bison Burger for $3.00! Sink your teeth into this local favorite 1/2 pound of beef done to perfection. 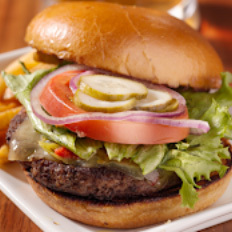 Lettuce, tomato, and onions come standard but add a few more toppings to make it a special treat just for you! Make it a Bison Burger + $3.00! A half-pound of American Bison (or Buffalo) topped with pepper jack cheddar, roasted jalapenos, and spicy aioli. 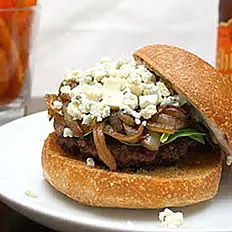 Our homemade half pound burger topped with caramelized onions, blue cheese crumbles and spicy homemade blue cheese sauce. Blackened Cajun style chicken breast covered in sautéed peppers, onions, and melted pepper jack cheese. 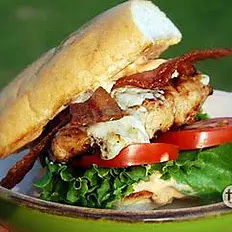 Further topped with Serrano sauce and served on a round bun. Our homemade, slow-cooked brisket pulled and served with applewood smoked bacon, caramelized onions, mushrooms, pepper jack cheese, and tangy BBQ sauce on focaccia bread. 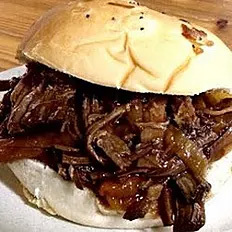 Slow cook brisket with melted Swiss cheese served on a Mancini’s hoagie bun with a side of our homemade Guinness au jus for dipping! Marinated Portobello mushroom cap, roasted red peppers, cilantro pesto, caramelized onions, spinach, and smoked gouda cheese layered on toasted focaccia bread. Shaved ribeye topped with sautéed peppers, caramelized onions, mozzarella cheese, French fries, and sweet & sour coleslaw all on focaccia. Huge beer battered haddock fried to perfection. Served on your choice of bread and with one side. 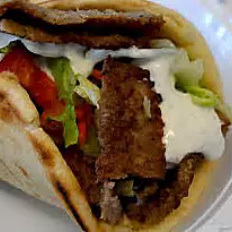 savory slices of gyro meat layered inside a warm pita with fresh lettuce, tomato, and onion with tzatziki sauce served on the side. Slow roasted corned beef, swiss cheese, craft beer sauerkraut, and 1000 island served on fresh Mancini’s Rye. Slow braised brisket with smoked gouda cheese, bacon, carmelized onions and our own Jack’d Up BBQ sauce. 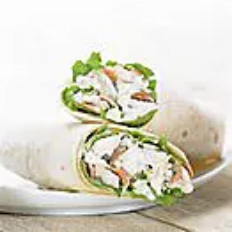 Strips of grilled chicken nestled with lettuce, tomato, onion, cheddar cheese, and spicy chipotle sauce all wrapped in a flour tortilla. Sub beef brisket for chicken: add $1.50. A flour tortilla stuffed full of shaved ribeye, sautéed onions, peppers, 3 cheese blend, fries, and sweet & sour coleslaw. Diced breaded chicken, mild wing sauce, ranch dressing and lettuce all in a flour tortilla. 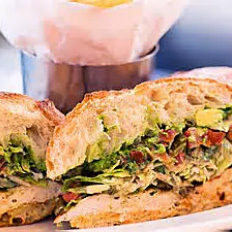 A flour tortilla stuffed with grilled chicken, lettuce, tomatoes, cucumbers, mozzarella cheese, smoked bacon, and caramelized onions. 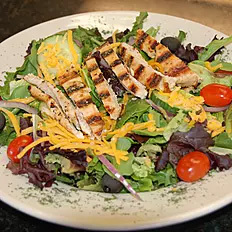 Served with a dressing of your choice. Big and small pieces of Applewood smoked bacon along with seasoned pulled chicken stirred into our homemade MAC. 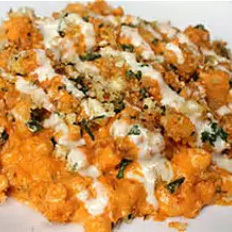 Pulled Chicken tossed in our hot wing sauce and layered inside our MAC and then topped with a drizzle of ranch dressing. Fresh buffalo mozzarella, garlic, basil, juicy tomato, and a balsamic glaze drizzle on top. 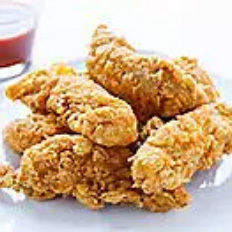 Bite size pieces of chicken served with a side of fries and ranch dressing for dipping. Kids size portion of our MAC. 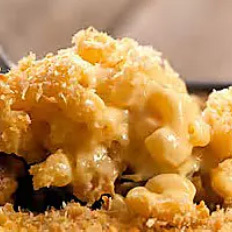 Includes over five cheeses and breadcrumbs on top. Six wings covered in your choice of mild, BBQ or hot sauce. 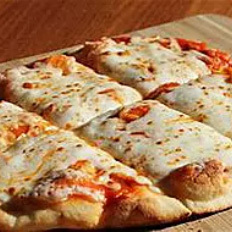 Yummy flatbread pizza with marinara sauce and a blend of three cheeses! Bite size corn dogs served with a side of our seasoned fries! A flaky fried shell covered in cinnamon sugar, stuffed with cheesecake and topped with caramel sauce. Delicately fried Crafty dough tossed in cinnamon sugar and drizzled with caramel sauce.